watched the rest of the show from the beach. 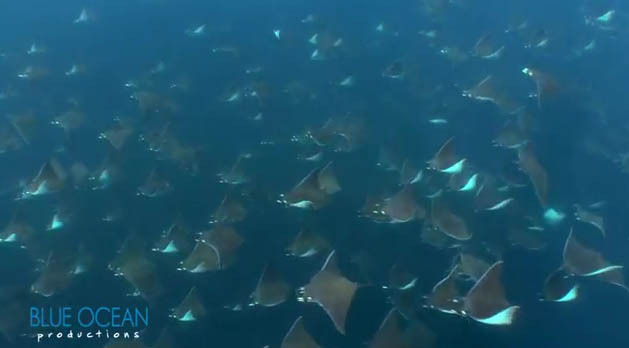 In this video posted back in October of 2011, hundreds of rays can be seen jumping out of the water. The poster states these are Mobula Rays off of Isla Espiratu Santos near La Paz, located in the Sea of Cortez. This area is part of a federally decreed Flora and Fauna Protection Area and a United Nations Biosphere Reserve.